It’s another Wednesday, which means there will be another Allure giveaway. Today at noon (eastern time)/ 9am (pacific time) / 11am (central time), click here to visit their site. 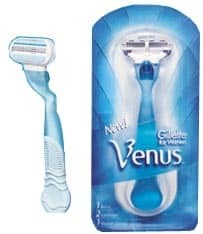 The first 5,000 to do so and fill out the form will score a free Gillette Venus Embrace razor.